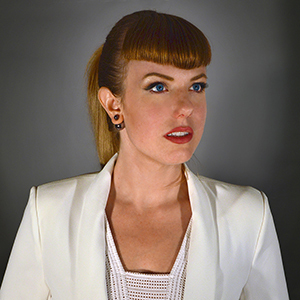 Artist Amy Karle is a pioneering bioartist who uses the body to explore what it means to be human through a unique negotiation of art, design, science and technology. 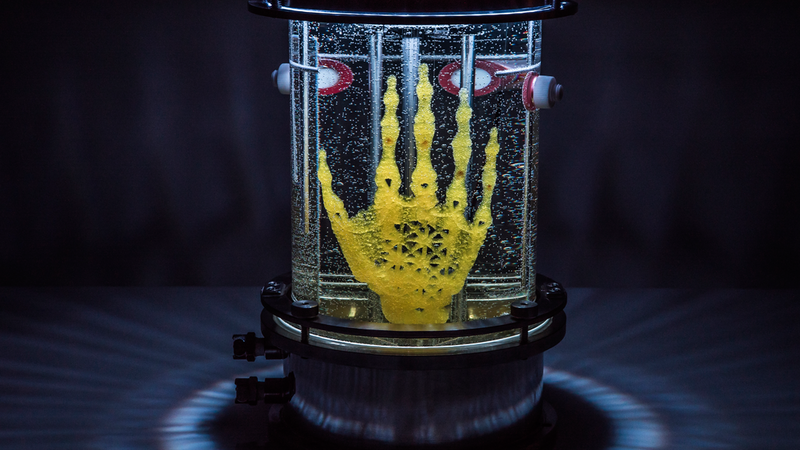 Referencing the traditional presentation of relics in their reliquaries, “Regenerative Reliquary” is a finely detailed skeleton-like sculpture encased in the mechanical womb of a glass bioreactor. Instead of enshrining the inanimate remains left after death as a memorial to the life that was once there, “Regenerative Reliquary” presents the opposite, depicting the possibility of life from an inanimate object. Karle’s bioartwork establishes a new form of artwork and helps to establish this emerging field in the art world. Her work also expands opportunities for biomedical applications, healing and enhancing our bodies, and making things that were never possible to create before. There is an intelligence beyond our understanding in how life and consciousness is formed. “Regenerative Reliquary” is a scientific and spiritual piece that asks questions of the awe and mystery of life. I focused on regenerative medicine, envisioning a leapfrog workflow where a few cells could be used to grow implantable parts with low risk of rejection. A hand design was chosen as a form uniquely recognizable as human. In addition to implications for healing and enhancing the body, I consider the future of creating with cells in technological, art and design applications. We no longer need to turn to inanimate materials like metal, fabric, or paint to make an object. We can use actual living cells and tissue as materials to build with. The cell, ‘nature’s building block’ can be the basic structural unit for new creations and visions for what we can sustainably create in the future. Using 3D scanning, Computer Aided Design (CAD), 3D printing, and by collaborating with material and bio-nano scientists and technologists, I created a framework of 3D printed scaffolds to encourage cells to grow into bone. The process started by 3D scanning a hand skeleton to create an initial CAD design. Once the design was established, a microscopically detailed trabecular structure was applied throughout the design to create a scaffold mimicking the spongy part of bone. 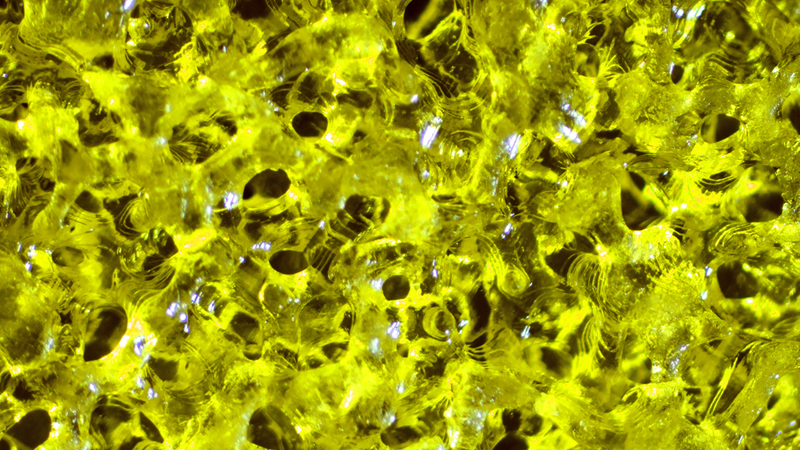 Non-toxic cell growth media, a custom mixed hydrogel was developed for 3D printing, then the design was printed with microscopic detail with DLP SLA technology. Human Mesenchymal stem cells from an adult donor were expanded and then transferred to 3D print tests for growth. This process can be used for cell culture and this process could also potentially be applied to design and engineer custom bone grafts or other tissue for medical implant in the future. This work symbolically showcases a fusion of biological materials and FAB, and I applaud it as being a raw expression filled with an “experimental” essence. There is an incredible depth of exploration used for this project that extends into designing with living materials. It exemplifies the shift away from the industrial-only maker processes into the exciting realm of bio-hacking and synthetic biology. She made an astounding use of complex software (from Within Lab) to restructure and artificially fabricate living bone tissue. This is one of the best cases I've seen of building an actual element of life not mimicking it. So many of these projects copy from nature and therefore become decoration. 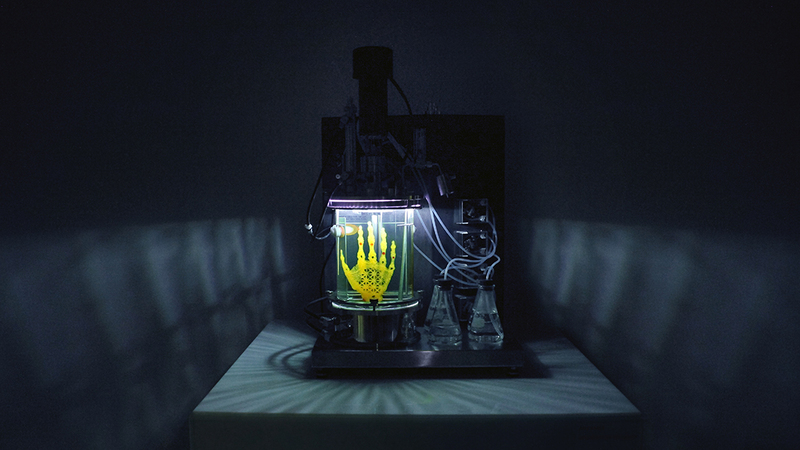 Here is a novel bone printing system that uses real stem cells to recreate the bones of a human hand. The many disciplines involved alone is impressive enough - spectacular work from a true artist. The hand is the very symbol of the capacity to manufacture, the first tool of humanity. This choice is not innocent and it carries the voice of a potential evolution where the technical aspect is included not as a tool but as an obvious link to artistic research. It seemed to me very important, this way of thinking that values the fertile relationship between art, design and technology. Impressive and poetic work that works on all levels and demonstrates how complexity, both emotional and scientific, and aesthetics can be brought together. Cell culture is one of the most actively researched areas in biotechnology and bio-art. I believe this work manages to create a feeling of vitality through the cultivation of a hand. It also makes one think of death through the use of bones while feeling life through the creation of cells. I think it shows that life and death are not two separate things, but are rather two parallel things that are always existing beside each other.